Holidays in Lake Como bring you dramatic mountains, traditional towns full of colourful buildings and a sparkling lake just waiting to be discovered. It’s the ideal place for couples, families and explorers alike, with its stunning natural scenery, pretty villages and water sports and activities. Spend your days on the golden sandy beach and soak up the sun and beautiful surroundings before heading to one of the towns for a delicious traditional Italian dinner. Active holidaymakers can hike, mountain bike or even horse ride through the surrounding mountains, or hit the water with sailing, kayaking, water skiing and lots more. Wander through the succulent gardens of the town or soak in the history of the area at museums and art galleries. Architecture lovers will find plenty to keep them occupied, while celebrity spotters might see one of the many stars who own homes here. If you want to explore further you can combine your trip with another of the Italian Lakes and discover more of the area. 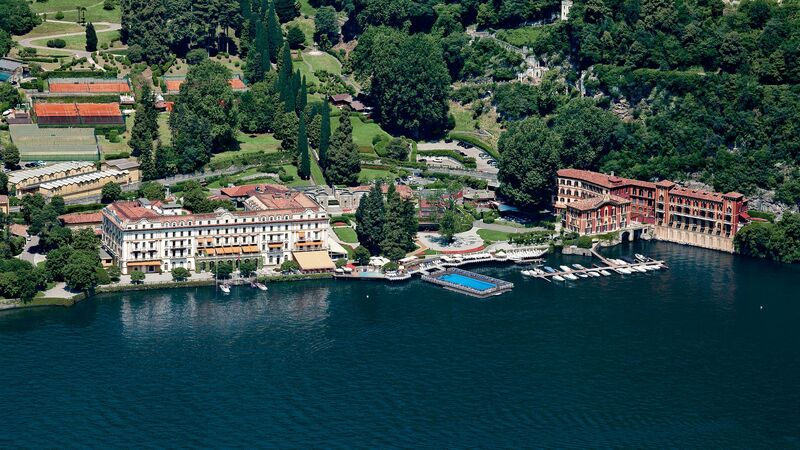 Luxury holidays in Lake Como are becoming increasingly popular with the rich and famous. Spend your days in luxury and maybe rub shoulders with the likes of Sylvester Stallone and Richard Branson, who both own homes around the shores. There are some fantastic restaurants to choose from, including internationally renowned Michelin starred establishments and traditional Italian eateries. Pick up the chic fashions Italy is so famous for in the little boutiques, or spend the day in the spa. Whatever you’re looking for, at Sovereign we’ll help you find the perfect hotel and itinerary for your Lake Como holidays. We’ve carefully selected the best hotels in the area to ensure you have everything you need. 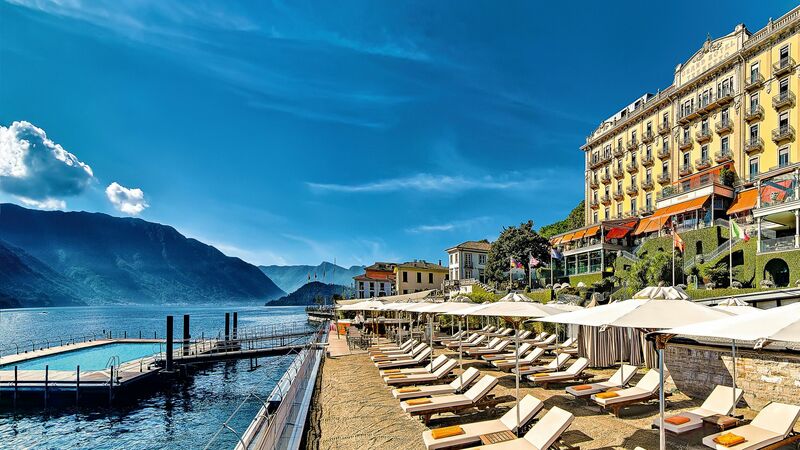 Stay at the Grand Hotel Tremezzo for striking views, a historic building and secluded, luscious gardens. Alternatively, choose the Villa d'Este for a floating swimming pool on the lake, a luxury spa and extensive range of activities on offer. The grand Villa Carlotta sits on the waterfront close to the village of Tremezzo. It was built back in the 17th century by a Milanese marquis and today houses sculptures, paintings and friezes dating back centuries. The garden is equally impressive - it spreads over eight hectares and is filled with fountains, terraces and rare plants and flowers. This palatial waterside mansion is home to one of the best gardens on the lake. Wander through them and you’ll come across sculptures and statues, a Japanese water lily pond, a bamboo grove, and a quirky Moorish kiosk where Duke Melzi used to take tea. If you’re here in April or May, the stunning collection of azaleas and rhododendrons will be in full bloom, too. If Villa del Balbianello looks familiar, it’s because this 18th-century pad is a Hollywood regular, providing the backdrop for blockbusters like Star Wars: Episode II (Attack of the Clones) and Casino Royale. Perched on a promontory close to the west-coast town of Lenno, the villa is owned by the Italian version of the National Trust – book ahead for guided tours of the interior. Flights to the Italian Lakes take around 2 hours from the UK. Transfer time from Malpensa airport to Lake Como is approximately 1 hour 30 minutes. Where is the best place for shopping near Lake Como? There are many local shops for souvenir hunting dotted around but for more serious retail therapy, Foxton, just over the border into Switzerland, hosts several designer outlets. Slightly further afield (just over 90 minutes by car) is Milan, world famous for luxury goods and great for a day trip. Are there any golf courses near Lake Como? There are several golf courses in the vicinity. La Pinetina, Menaggio and Cadenabbia, Circolo Golf Villa d'Este to name but three.